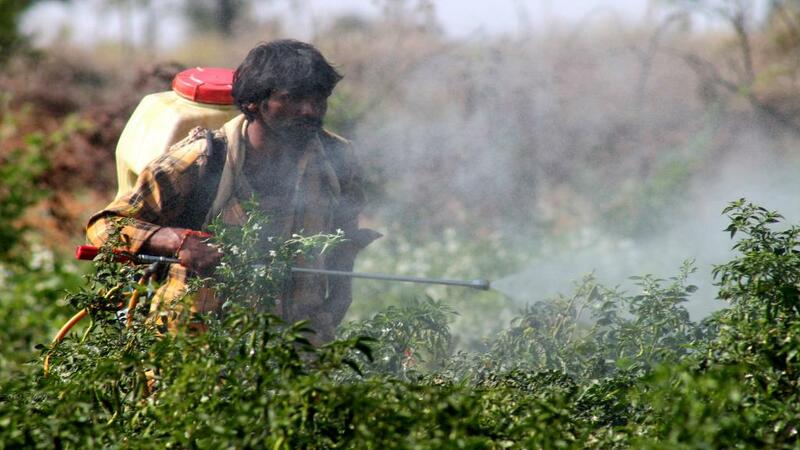 Exposure to chemicals contained in pesticides interferes with an enzyme called acetylcholinesterase (AChE) which is present in the nervous system and is critical for neuromuscular functions. When its functioning is disrupted by chemical pesticides entering the body through the skin, it can cause neurotoxicity, cognitive dysfunction and even death in severe cases. When the gel was applied on rats and they were exposed to a lethal dose of pesticide MPT, it did not lead to any change in their AChE level, showing it could prevent penetration of the pesticide into the skin. The gel, named poly-Oxime, has been prepared by researchers at the Institute for Stem Cell Science and Regenerative Medicine (InStem), Bengaluru from a nucleophilic polymer. In lab studies, rats treated with poly-Oxime gel survived pesticide treatment, whereas rats with no gel or sham gel showed symptoms of poisoning or died. The results of the study were reported in journal Science Advances on Thursday. The gel does not act like a physical barrier, but it acts like a catalyst to deactivate organophosphate. An oxime could hydrolyze multiple organophosphate molecules, one after another. And it can do so at temperatures ranging from 20 to 40 degrees, and even after long exposure to ultraviolet light. “Our data suggests that a thin layer of poly-Oxime gel can hydrolyze organophosphates on the skin; therefore, it can prevent AChE inhibition quantitatively in blood and in all internal organs such as brain, lung, liver, and heart,” the study notes. It has also been found that the catalytic gel can work against a range of commonly used commercial pesticides, insecticides, and fungicides.